RideOn is set to take on the likes of Recon and Oakley with a pair of augmented reality goggles designed for tech-loving ski and snowboard enthusiasts. 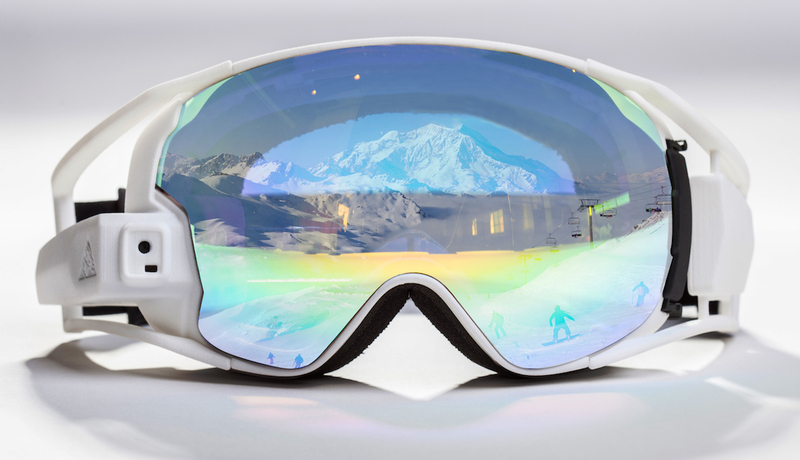 The Israeli-based startup's AR ski goggles have just gone live on Indiegogo, and the company claims it has the edge over its rivals due to the virtual reality aspect's positioning in the wearer's field of vision. “What distinguishes RideOn is our delivery of a true AR experience, derived from a see­through display that projects data onto the centre of your field of view, not on the side,” explained Alon Getz, CEO and co-­founder. “We wanted to find our locations on a ski resort map instantly, or to quickly contact each other when we’d get separated. We wanted to do these things without having to take our gloves off, or use our phones." Those features are all on board - the RideOn goggles are navigated using a hands-free control method whereby the user looks at menu options and selects by holding their position. Wearers can record videos, send messages to other RideOn users, see navigational info (for slopes and lodges) and also play virtual games. Of course, you'll need a 3G connection for any of the live features - there's no SIM card on board though, so you'll have to hit the slopes with your smartphone. The RideOn goggles are powered by a whopping 2,400mAh battery - meaning more than 8 hours of usage. The makers also claim the display is readable even in bright sunlight. As for the goggles themselves, they feature anti-fog and anti-scratch tech, and the makers know a thing or two about HUD devices - the founding duo both have experience in making fighter pilot goggles. A prototype has already hit the slopes but the company states that its production plan is dependent on the success of the Indiegogo campaign. You can register your interest direct with RideOn now. Pre-orders are priced at $499, the full retail price is expected to be $899. There is "super limited supply" at present. Estimated delivery is September 2015. Take a look at our great feature on whether you should you be backing wearables on crowdfunding sites, which explains the key differences between Indiegogo and Kickstarter.